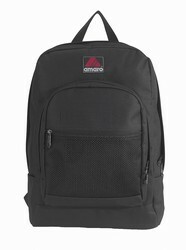 Standard size backpack made with 600 denier polyester material. Large front zipper pocket with organizer pockets inside. Large zipper mesh pocket on top. Padded shoulder straps to provide extra carrying comfort. 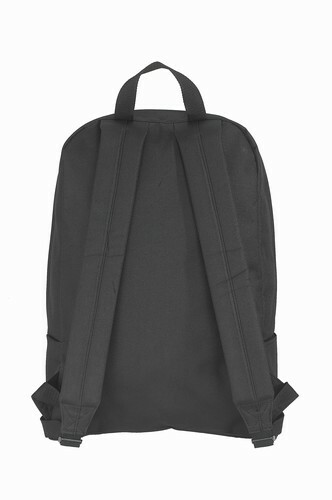 Rain guard flap on both main and front zipper compartments.